o Nobody does it better: No other towing service in Los Angeles has the experience and latest equipment to solve your roadside dilemma like the pros at LAX TOWING. Since 1985, Towing LAX have towed more cars to and from Los Angeles International Airport than anyone else in town, and for a good reason. Towing in LAX know the turf. We’re familiar with every nook and cranny of the airport, the parking structures and the surrounding streets. 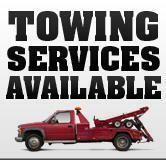 o Nobody does it faster: Our wide array of up-to-date tow trucks are ALWAYS pointed toward LA airport. If any other roadside company claims they can get to the airport faster than us, they are lying. If Towing near LAX can’t get to your car in 30 minutes or less, nobody can. o Nobody knows Los Angeles Air Port like us: No matter where you’re stranded in and around LA, no matter what kind of problem, no matter what kind of vehicle, I guarantee we have been there and done that at least a dozen times before. o Nobody Services LAX Long Term Parking Like Us: There’s no place like home! Towing LAX know you are anxious to get home after your journey. What the %$#$^%# !!!! Someone left the parking lights on! Or deflated your tires. Do you really want to wait another 40 minutes for a tow truck driver to find you deep in the bowels of Los Angeles Airport long term parking lots. Call us – we know the parking lots and parking structures of LAX like the back of our hand. o Nobody Listens Like Us: When you call The Number One in Roadside for emergency services, Towing LAX courteous and friendly agents are all ears, trained to hear what you want and trained to listen between the lines to hear what you need. We know when to send a flatbed, and when to send a low-clearance wheel lift. And especially when to neither – we won’t make you pay for a full tow truck service when one of our cost-effective roadside assistance cars or motorcycles can get you back on track in a jiffy. o Nobody Saves You Money Like Us: Towing LAX don’t care what kind of car you have, what kind of insurance coverage you have, or why the heck you need our lightning-fast assistance at 3:15 AM in the morning. It’s the same low price for everyone, all the time! o Nobody Does It Smarter: Time is money, and We don’t waste your time or your money. When LA Airport employees and airline stewardesses have unexpected car troubles, they call LAX TOW AND ROADSIDE – and so should you!